Be love. Be light. Be Magic. My love for yoga, meditation, magick and working with the Divine evolved into my own style, Akasha Yoga-a yoga practice steeped in magic & mysticism.....a Divine flow centered around nature, with a balance of lunar energy for stepping into your grace with fluidity and fiery solar energy to awaken into your own power. My classes & retreats offer personal interconnection with energy assists, crystal healing and essential oil therapy to seep into your Divine energetic self. Follow this shift in energy happening in the world with me- get back to community, support, and finding empowerment within ourselves. Explore the magic all around you as you embody Divine light, open your third eye and know that you are a part of the magnificent and vast universe. See when you can join classes in the studio here! Keep a lookout for Akasha Yoga retreats! The next installment of Akasha yoga explores animal guides and magic. Stemming from the beginning of time we rely on our animal allies for messages from spirit, special guidance and powerful traits we can embody for transformation. This 5 week series will tap into creatures of the elements, what they represent, and how they connect to ourselves and the world around us. Each week we work with a central altar space and we'll use animal oracle cards, crystal allies and essential oils for a ritual on our mat for movement, meditation and manifestation! *you must register for full series, no individual classes available. WEEK THREE: Magic of Fire, Tooth & Scale-Find your passion, will, energy, empowerment and protection with these creatures of fire! Work with the lion, tigers, dragons and more. WEEK FOUR: Magic of Water and Fin-Explore the beautiful animals of the sea to tap into emotion, compassion and healing. Take home ritual to work with the dolphin, beaver, swan, even mermaid magic! WEEK FIVE: Magic of Ether & Spirit-Embrace full alchemy, unification and transformation. Ways to work with the spider, the snake and unicorn to fill your life with magic! *These are mixed level classes and suitable for beginners. Please bring anything each week you'd like to set on our central altar space to charge with the energy of the evening. These classes are 90 minutes and the series is $90. Crystals used in class will be available for purchase after each class as well! ​Get ready for a return to Avalon in our next installment of Akasha yoga. In this 5 week series we will connect with 5 main Celtic goddesses and figures through ritual, movement and meditation. Each week we will work with the elements, stones, crystals, essential oils, a central altar space and more to connect with our own essential goddess within. Each week take home a ritual to work with each goddess for healing and manifestation. ​Elemental. Be the Sacred and Live your Magic in this 5 week class series! We are all magical, harnessing the powers of the Universe that quell within our very being. Spend the day tapping into the power of the elements of earth, air, fire, water and space. We'll explore the properties of these elements, with Mother Nature as our guide, into our most basic energetic blueprint. I offer an invitation to 8 special women looking to deepen their practice, strengthen their craft, and join the calling into a sacred sisterhood to offer the world healing and peace, from the inside out. Only 8 sacred spots, register here! This series involves getting your feet wet working with collective energies in spirituality and tapping into those energies through magic and movement. 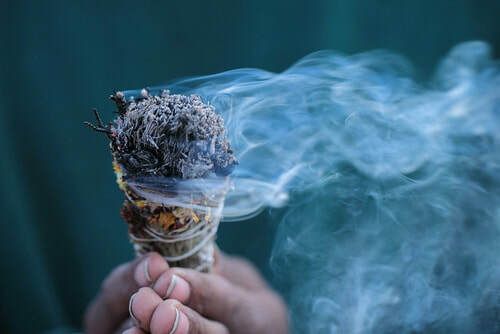 Step into sacred space, sharing a communal circle to learn, connect and evolve.Each class we'll be working with a central altar space, getting a lesson with information and a special ritual to take home from each class. These yoga classes are for all levels, there will be flow style movement in most sessions. Only 8 sacred spaces available, get yours now! WEEK ONE: Working with Divine energy, magic & interconnectedness. WEEK THREE: Following the Tides-Synchronizing our energy with nature, her moon cycles and the seasons. Join me for this magical 7 week series to move towards empowerment of your complete self and to embody your sacred Divine feminine. Each of our 7 Chakras is ruled by one the of the 7 aspects of the Goddess. Move through each phase of your being to embrace the shadow, the light, the lessons and the strength of each Divine feminine archetype of your own psyche to find empowerment. Balance your energetic self and awaken your 7 inner Goddesses. Based on the teachings of Tanishka in her book Goddess Wisdom. Step into sacred space, sharing a communal circle to learn, connect and evolve.Each class we'll be working with a central altar space, getting a lesson with information and a special ritual to take home from each class. These yoga classes are for all levels, there will be flow style movement in most sessions.